Twelve-year-old Franz lives in Prague, not far from the one-time home of the great literary figure, Kafka. Franz was even named for him. His mother, a GP who works at the university medical school, is worried about the rash on the boy’s hand. Something strange is going around. The boy’s father is an entomologist, who prefers painting to studying bugs. Franz has noticed he is being followed by a hirsute figure he calls the Wolf Lady. What does she want? 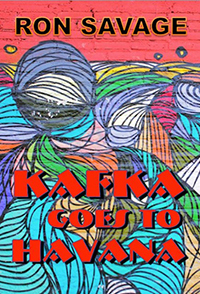 Then following a tragedy, Franz is sent to live with his Uncle Max in Cuba. Life is becoming complicated in Franz’s uncertain world.